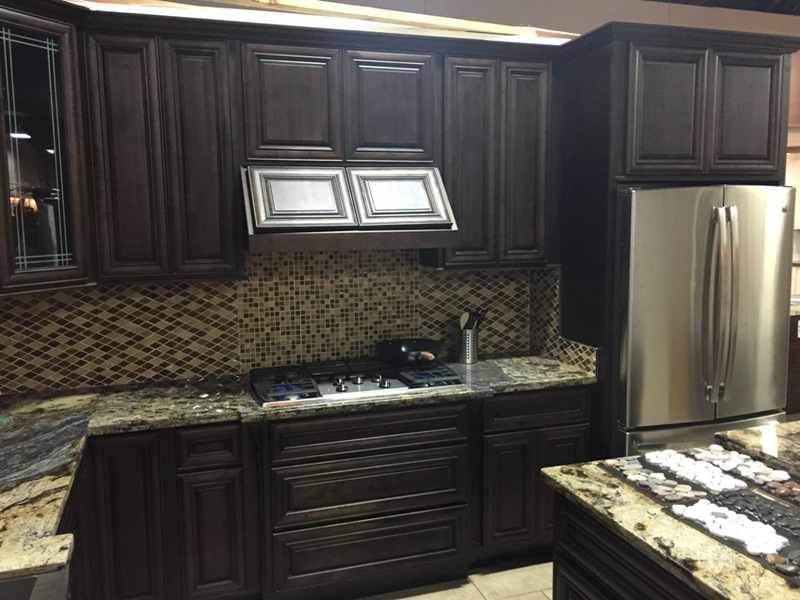 2F Chestnut Maple Rustic Glaze Kitchen Cabinets, full overlay doors, dovetail drawers with full extension undermount soft close ball bearing slides, six way adjustable concelled hinges. 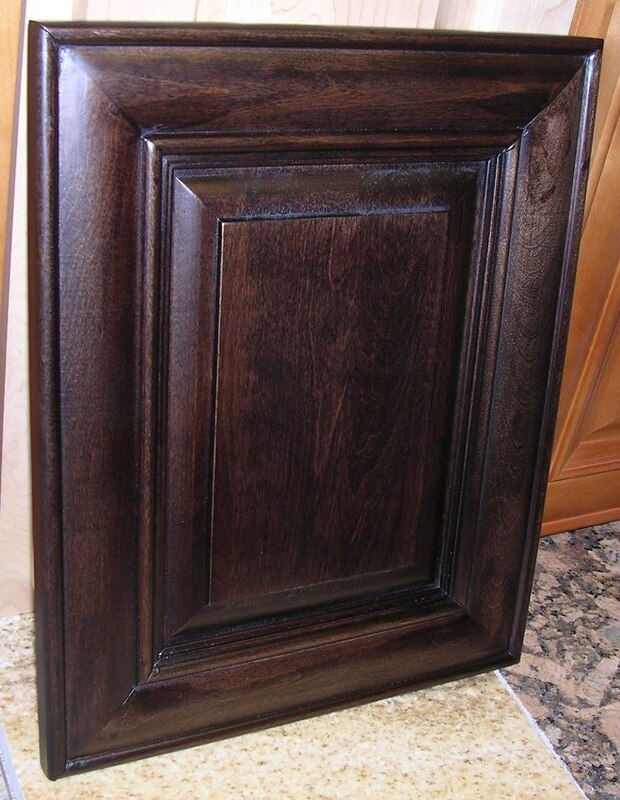 optional soft close for doors Face frame and doors made from Maple hardwood,Carb2 certified cabinet plywood box frame, no particle board, 3/4" thick full depth plywood shelves, interior natural maple look not dark stain. Exposed sides of plywood are stained to match doors so skin panels not required to match door. 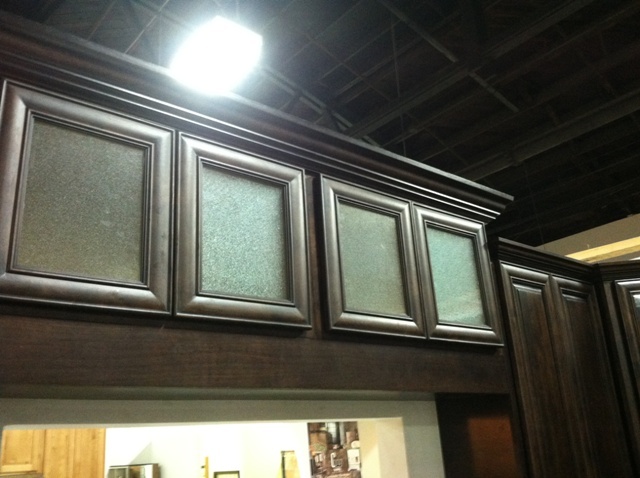 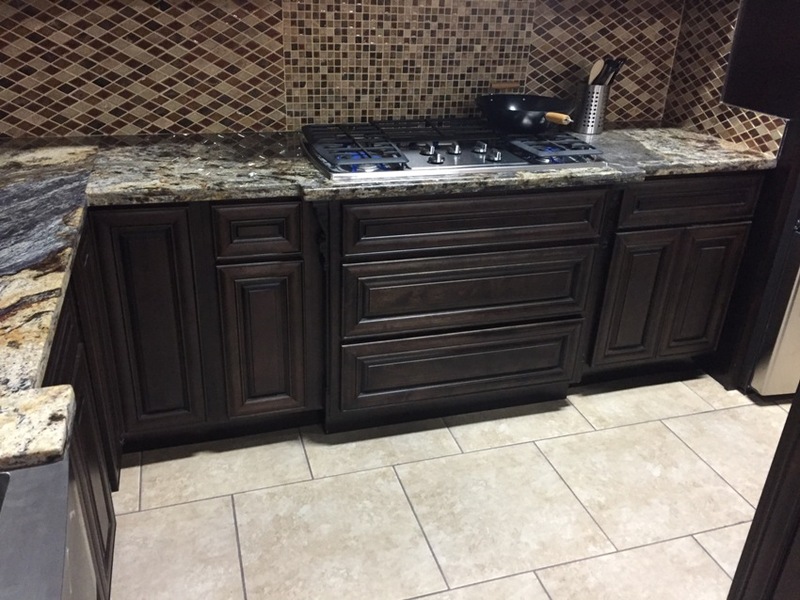 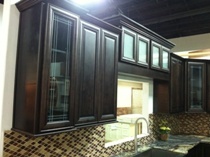 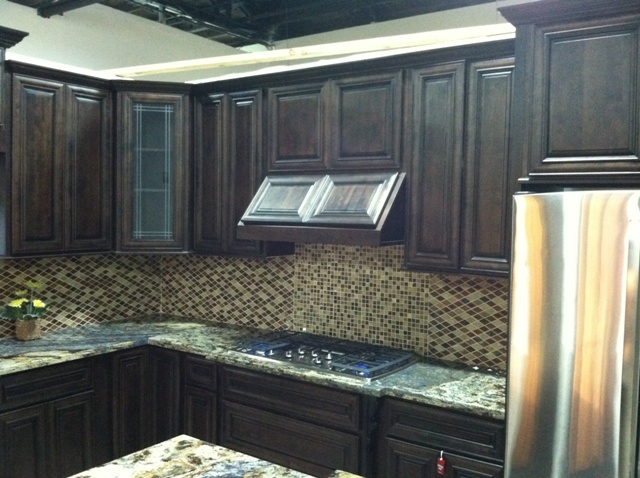 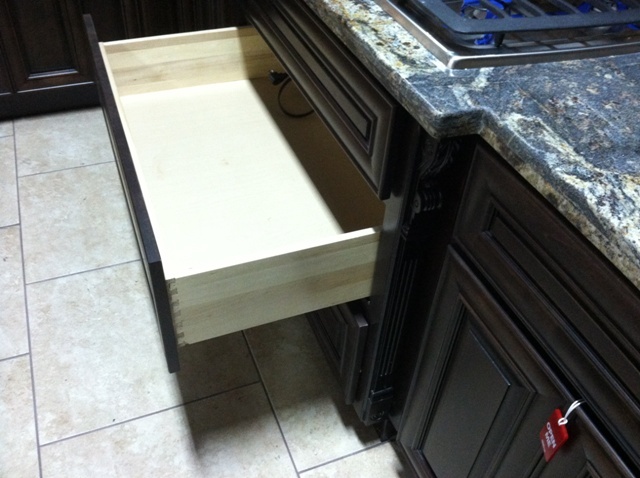 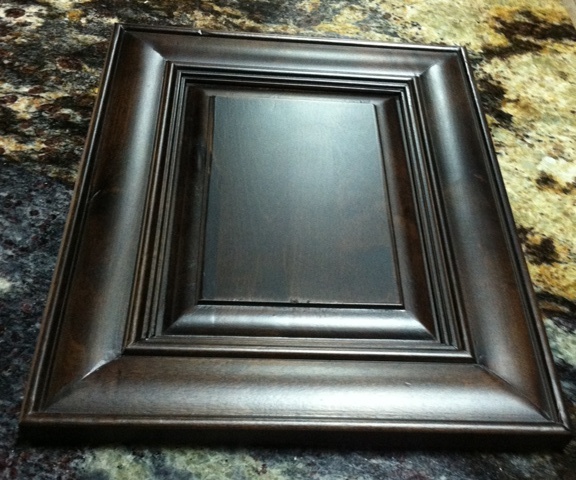 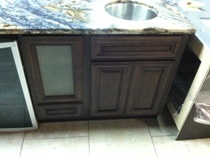 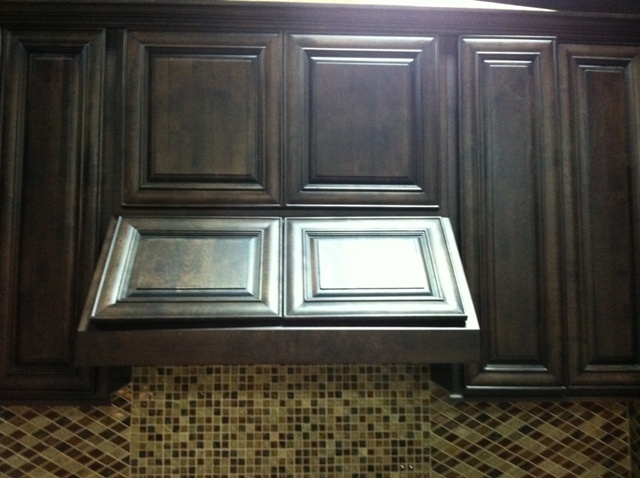 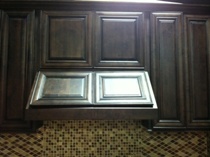 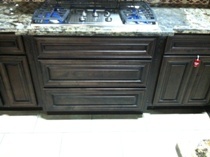 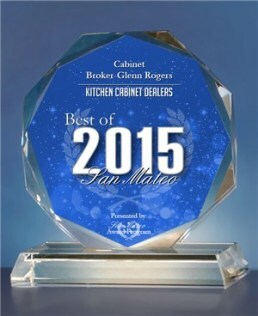 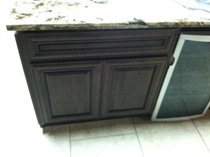 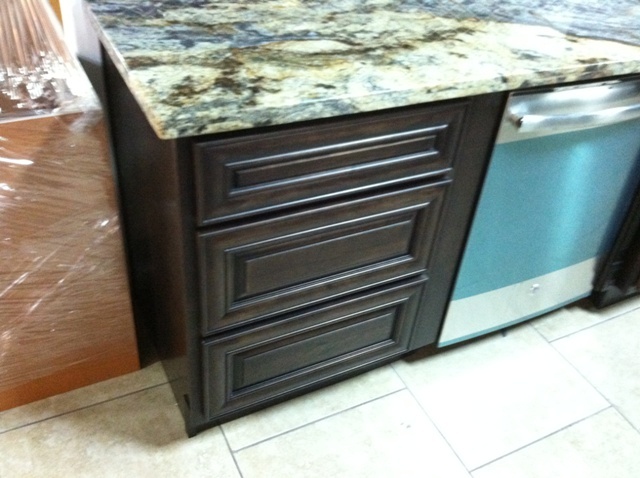 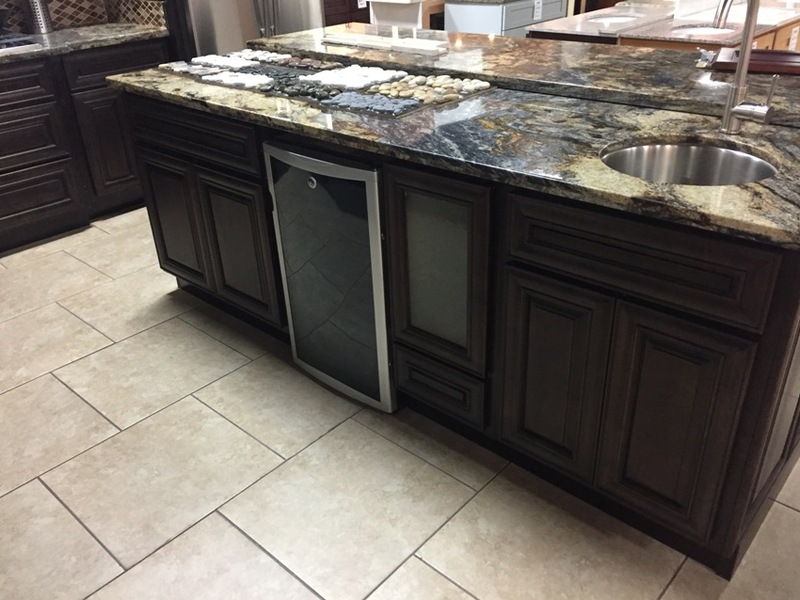 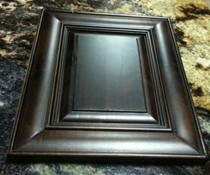 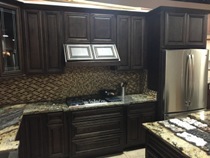 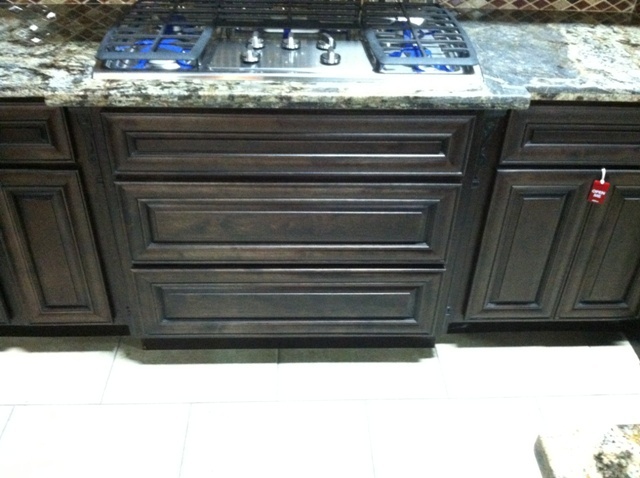 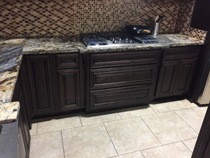 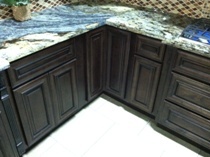 Assembled cabinets and curbside delivery lead-time typically 3-5 days.